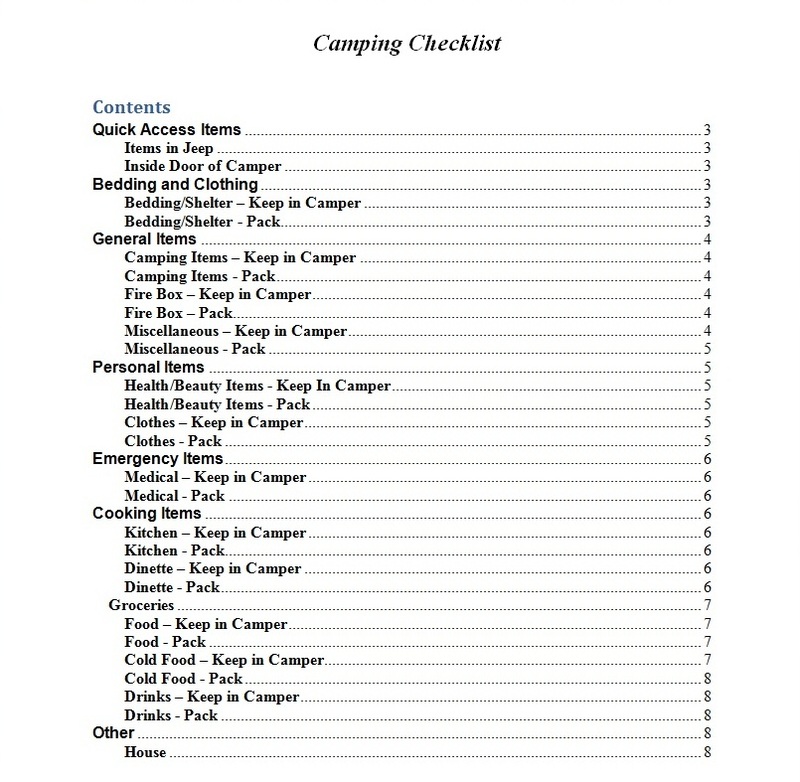 Attached is a packing list we’ve used and we mark anything we need replace between trips.&nbsp; I don’t recommend hauling everything because your camper will be way over weight&nbsp; ::) but it’s to good reference.&nbsp; Share any other suggestions you might have. Who else has a packing list? We’ve had a checklist for more than 20 years, it became a lot easier to modify it as needed once it was on the computer! We have a couple of versions: standard camping, camping with bikes or a backpack trip for DH, etc. Since we moved from a pop-up to a travel trailer last fall, I’m now modifying the list yet again. I almost need two – one for season start up, when all the stuff removed for the winter is put back into the camper, and another for during the season.